It’s not a tree that makes a great first impression. It does not have the immensity of a sequoia, the sagacity of a banyan, or the freakishness of a baobab. It is unkempt and stunted, its bark peels like parchment, and its gashed trunk has the appearance of a wrist that has survived multiple suicide attempts. 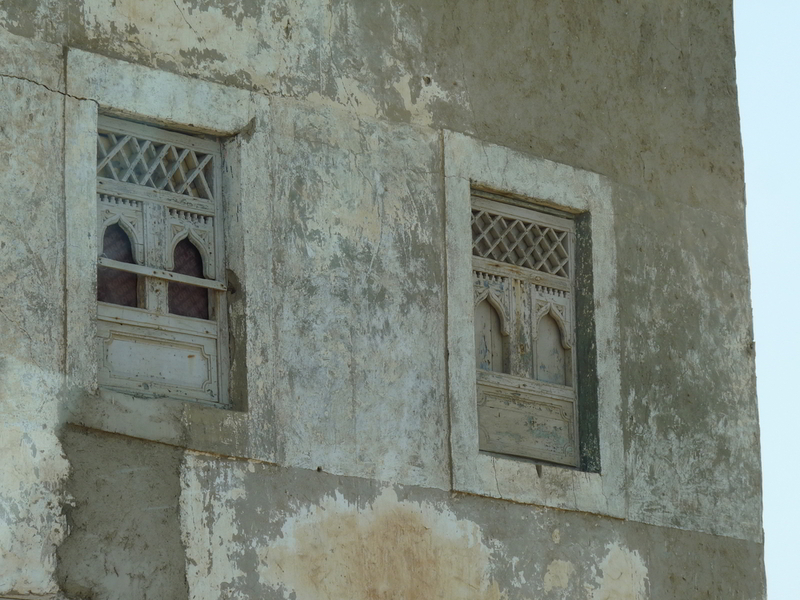 Yet, the sight of it outside a museum in Al Baleed near Salalah, in southeastern Oman, is like a celestial vision. I draw a cluster of seed pods to my face and inhale, but the fragrance I seek is elusive. There is, in fact, no scent at all. Not even in the withered flowers, which rustle like potpourri. My guide Rashid, observing my crestfallen expression, gestures to the ‘wounds’ on the bark, where the aromatic sap has congealed in gem-like nuggets discoloured by dust and rain. Pinching off a gummy crystal, he holds it up to my nose. There it is now, that hallowed aroma that held the world of the Old Testament in thrall. This is Boswellia sacra, the sacred frankincense tree. In the wild it grows in rocky desert, clinging to limestone cliffs. I am only a few miles, as the raven flies, from its natural habitat in the ‘fog oases’ of Dhofar, south-eastern Arabia. On a cool overcast day at the peak of the Arabian summer, armadas of sea-fog drift in from the roiling Indian Ocean. This meteorological anomaly is the gift of geography. Southern Oman, along with parts of Yemen, is the only region of the Arabian peninsula that receives an annual monsoon, known locally askhareef. Come the rains, which paint the desert green, sleepy Salalah turns into a tourist magnet. Planeloads of tourists from neighbouring Gulf countries flock to its verdant hills and rain-swept seafronts to escape the scorching heat. 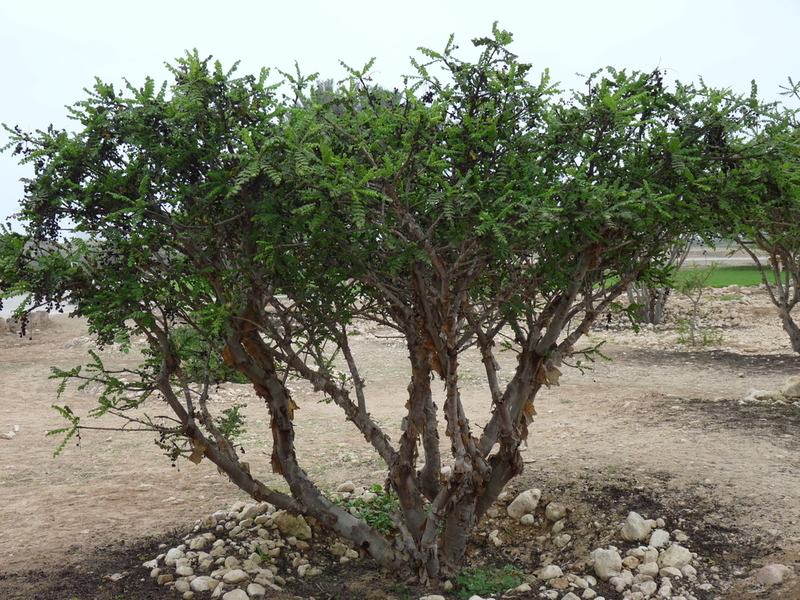 The Boswellia trees of Dhofar produce the most coveted frankincense in the world. The clear yellow resin, once treasured as the gift of kings, was the foundation of a flourishing commerce that dates to 3,200 BC, when the inhabitants of ancient Dhofar traded frankincense with Mesopotamia (modern-day Iraq). Scripted into the frankincense saga are such towering actors as King Solomon and the Queen of Sheba (their storied tryst was catalysed not by romantic love as is popularly imagined, but by a common lust for the precious resin), the Roman Emperor Nero (who burned at his queen’s funeral a year’s yield of frankincense), and none other than Jesus of Nazareth. Along with gold and myrrh, frankincense was one of the three gifts that the Magi presented to the holy infant on that night in Bethlehem. History holds that frankincense was as prized as gold. Intrepid traders charted a punishing odyssey from Eritrea to Jerusalem through seething Arabian sands. The Frankincense Road passed through what Claudius Ptolemy, the first-century Graeco-Egyptian geographer and historian, called Omanum Emporium. One entrepôt on the route, near the Omani city of Shisr, was Ubar or Iram, a fabled ‘Lost City’ on the edge of Rub-al-Khali (The Empty Quarter), an especially inhospitable part of the desert. T.E. Lawrence, the legendary Lawrence of Arabia, in his fruitless search for Ubar, described it as the ‘Atlantis of Arabia’. In 1992, American documentary filmmaker Nicholas Clapp, with English adventurer Ranulph Fiennes and American-Latvian explorer Juris Zarins, located the lost city in the southern Arabian peninsula — a region known to Ptolemaic scholars as Arabia Felix — using space imaging from NASA. Salalah, 180 km south of Shisr, remains to this day the nucleus of the frankincense trade, though the resin’s value has diminished since Biblical times. Here, it is possible to retrace parts of the Frankincense Road. From the historic ruins of Al Baleed, winding past unmarked graves and the crumbled façades of ancient homes that skirt the fishing town of Mirbat, the trail leads to Sumhuram. 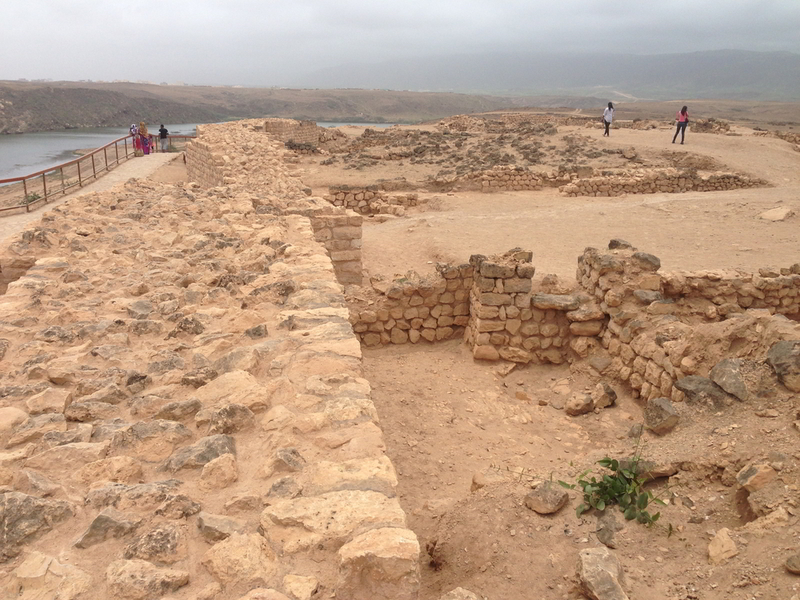 Here the Queen of Sheba is believed to have erected a port, Khor Rori, to barter frankincense for grain and cotton. Against this immense landscape, watching feral camels graze by the estuary, one can feel the antiquity of time. The trail ends at a picturesque souq straight out of the Arabian Nights. 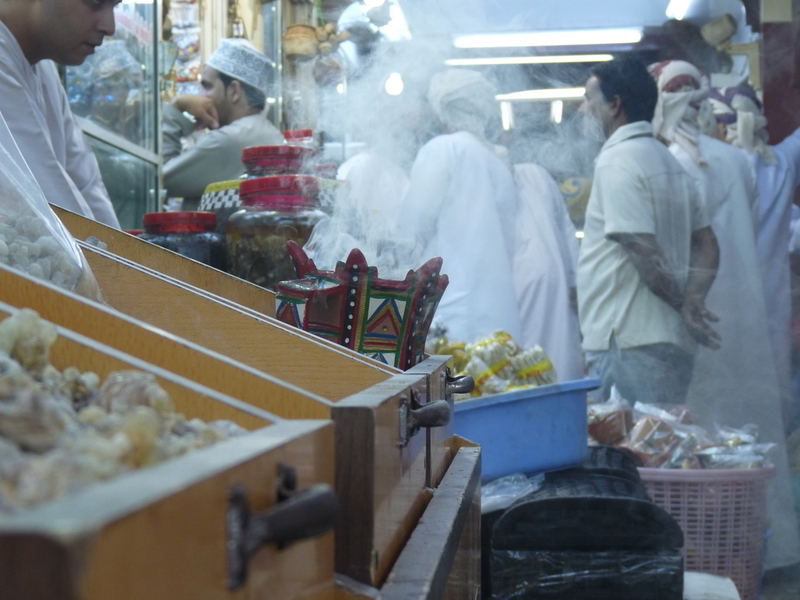 Veiled by fragrant smoke rising from censers, shopkeepers attired in Omani dishdashas hawk frankincense resin and oil, advertising them as far from mere items of perfumery but cure-alls for asthma, stomach ailments, infertility and cancer. Scooping a fistful of aromatic crystals, I marvel at how great civilisations, lost cities and Biblical emperors all bowed to a nondescript desert tree!